Whey protein is one of the most popular supplements used by athletes and fitness enthusiasts to increase their protein intake. Although it’s popular across the globe, there’s still a lot we need to learn about whey protein in order to get the most out of it. Scroll down to learn more about Whey protein, its benefits, potential risks, types, and so much more. 1 What is Whey protein made from? 6 What are the benefits of Whey protein isolate? The favored whey protein is actually a dairy product. 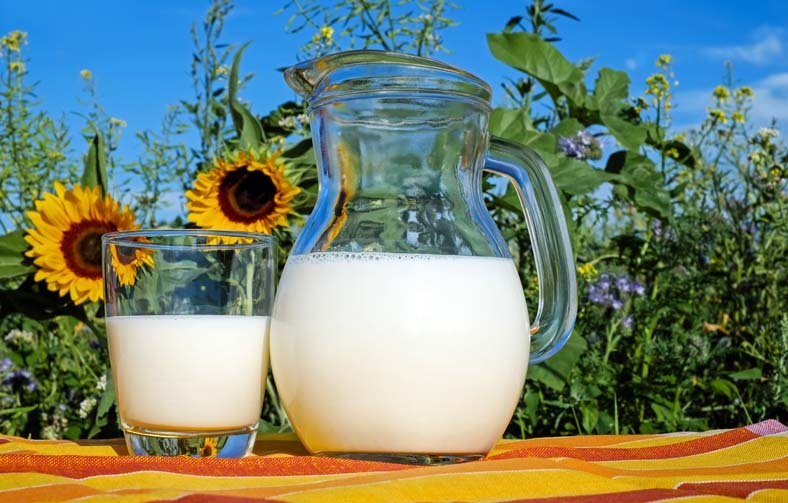 Milk consists of two proteins: whey and casein. Whey protein is either separated from casein in milk, or the process of making cheese produces it. In this process, whey and curds are separated, and two prominent proteins are isolated, one is Whey protein, and the other is Casein Protein. Whey is the liquid section of the separation and whey protein is soluble in the liquid. It’s important to mention that thanks to all nine essential amino acids in whey, it is considered a complete protein. Additionally, whey is low in lactose despite the fact it is a dairy product. The nutritious byproduct is popular for a good reason. Whey protein is a common protein known as a Sphero Protein due to it’s spherical or globular shape. Spheroproteins are essential proteins that play an active part in several critical functions in the body. This protein is packed with amino acids. Some amino acids are created in our own body, and some amino acids need to be taken in via foods. Whey protein carries nine essential amino acids that the body needs. These amino acids are proteinogenic, which are protein-building and are connected in chains called peptides. Whey protein is an enzyme catalyst. Enzymes assist in chemical reactions on a metabolic level in the body, and they are essential to life. A metabolic process cannot be completed without an enzyme catalyst. As a sphero protein, whey protein has a regulatory role, unlike fibrous protein which only has fundamental roles. What many people don’t even realize is that whey protein has a wide array of benefits, it’s not just muscle-building. You can learn more about the benefits and dangers of this protein below. Whey protein is an excellent source of protein. It is absorbed into the body at a fast rate. For this reason, whey protein is very popular if not essential for bodybuilders and athletes. When an athlete or bodybuilder has a hard workout, and the body is in a catabolic state, whey protein acts to accommodate better and faster muscle recovery. Due to the protein ingested, lean muscle also builds at a faster rate and the body’s metabolic rate increases. Increased metabolic rate promotes weight loss. Whey protein has an extra bonus – it works as an antioxidant as well. This means whey protein can help to strengthen a user’s immune system – some studies have even suggested that whey’s antioxidant properties are powerful enough to assist with protecting the body against certain diseases. Anti-oxidants also have a big role in slowing down the signs and symptoms of aging, but they also have the potential to prevent cancer. A stronger immune system creates a healthier body. Additionally, whey has been proven to lower cholesterol, which is a great health benefit. Although whey protein is a product of milk, it is low in lactose, as mentioned above. However, if a person is severely lactose intolerant, they can suffer from adverse allergic effects. Excessive use can cause headaches, cramps, stomach pains, swelling, increased bowel movement, reduced appetite, fatigue and even acne. In average usage, these symptoms are not observed. Long-term excessive use can overwork the kidneys due to the higher than needed protein intake. There is a waste product in the process of breaking down in the liver and kidneys that is called urea that causes the kidneys to be overworked. However, if the protein is taken within the daily limits that your specific body needs, there is no damage. People who already have diabetes, any kind of liver damage or kidney disease stand a chance to increase liver damage as these damaged livers are unable to process protein correctly, and toxins will end up build up as a result. There are four different types of whey protein, there is concentrate, isolate, hydrolyzed whey protein and milk protein. Whey protein concentrate, as its name suggests, is essentially a concentrated version of whey protein. The concentrated protein can vary between twenty-five percent and eighty-nine percent, and predominantly there is an average of eighty percent. This means the body would be able to absorb a higher percentage of the protein at an increased rate, leading to greater results in both muscle recovery and muscle hypertrophy. There are low levels of lactose as well as low levels of fat present. Whey protein isolate is often dubbed the purest version available. Different techniques are used to remove the fat and sugar from whey to leave the highest concentration of whey protein, of ninety to ninety-five percent. This form of whey protein has the lowest lactose content if any is present at all. There are quite a few benefits from the higher levels of protein. The low or negligible lactose content would allow lactose intolerant people to use the product without the allergic effect. On the other hand, there can be some nutrients lost in these processes, and sometimes the amino acids are broken down. This can make it more difficult for the user’s body to adequately digest and absorb the protein content. Whey protein isolate contains fifty percent more Leucine than Soy protein, and Leucine promotes muscle growth. Also, high levels of Cysteine are found in whey protein. Cysteine is important to assist in reducing the risk of cancer, specifically breast cancer. This whey protein goes through a process that breaks down the amino acid peptide chains into smaller, shorter strands. It does not diminish the nutrient value, though. This allows the body to absorb the proteins faster because they are shorter. Although this process allows faster absorption, it is marginal as the whey protein is already absorbed in a quicker rate. This is a combination of whey and casein protein and is usually used in products that have multiple protein sources. There are a couple of different uses for Whey Protein, including muscle building, weight loss and supplementing protein intake. Please note that you should first calculate how much protein you are allowed to consume per day as not to cause damage to your liver or kidney. There are several online guides and calculators to assist in determining the amount needed specifically for your body, needs, and goals. Whey protein comes in a powder form in a variety of delicious flavors. The powder is mixed with milk or water, or even blended into a smoothie depending on individual taste and fitness goals. The user should take one scoop of powder fifteen to thirty minutes before a workout. Read More: What is the best mass gainer? Then to assist in muscle recovery, increase protein synthesis and boost metabolism, another scoop should be ingested shortly post workout. Make sure you don’t rely solely on whey, however, and try to make protein-rich foods a part of your daily meals. Also Read: Does Swimming Build Muscle? In the case of using whey for weight loss, you do not want to add to your diet. Instead, you want to replace meals with whey protein drinks. This will make you feel fuller for longer and decrease some of the food cravings associated with dieting, even eliminating cravings altogether. The whey protein powder drinks will also help in digestion and boost metabolism. An increased metabolism promotes weight loss. Most importantly, the whey supplement will make sure your body is receiving enough protein to preserve its muscle mass during weight loss, and keep your valuable muscle mass as safe as possible from breaking down. 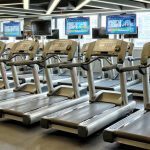 You may also like: Is elliptical good for fat loss? The best way to gain weight, if you are underweight and need to increase your BMI, is to drink a whey protein powder drink early in the morning shortly after awakening. Your body and organs are most receptive at this time. You should ingest another scoop of whey before bedtime as well because while you are asleep, you use the least calories allowing your body to gain the weight. Due to all the health benefits of whey protein, replacing one meal a day with a whey drink can promote health benefits, without any effects of gaining or losing weight. Probably the most frequently asked question about whey protein is how to isolate and concentrate compare and which one is better. In the section above, you already had the opportunity to get informed about these forms of whey. The reality is that it would be difficult to say one type is better than the other. Both isolate and concentrate have some advantages and drawbacks. The choice of what to consume largely depends on personal nutritional goals. For example, whey protein isolate is more abundant in protein content while containing lower amounts of fats, lactose, and carbs. 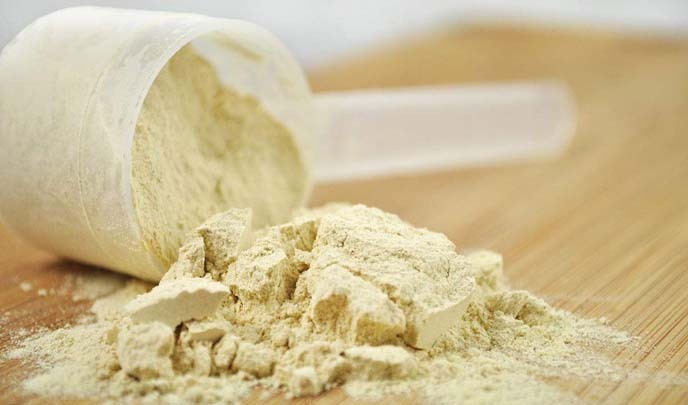 Due to the additional manufacturing process whey isolate tends to be more expensive. When choosing between concentrate and isolate, you should also take your budget and in-tolerance into consideration. The concentrate is more affordable than isolate, but bear in mind it has a higher lactose content, so if you’re lactose intolerant, you should definitely avoid it. Due to the fact that why isolates are hydrolysates, they are absorbed faster than concentrates. The latter is less processed which is a quality that some users prefer. Many bodybuilders and active people prefer taking a combination of these two types of whey. What are the benefits of Whey protein isolate? It is safe to say that there are many benefits associated with whey protein use. If you suffer from pre-existing kidney disease or liver damage, it is not recommended that you indulge in the use of this supplement as this will escalate your preexisting health condition. Individuals who are lactose intolerant can still take advantage of whey protein, however; just opt for products that contain Whey Protein Isolate, as the manufacturers have removed the lactose by isolating the protein. If you do not suffer from the afflictions above, then whey protein is a good and healthy choice. However, as with most things, it cannot be used excessively as it could ultimately cause damage to the liver or kidneys. Used correctly in your daily diet, it can be beneficial to athletes and bodybuilders to gain lean muscle fast, and it could assist in weight loss and weight gain. As an added bonus, whey is also useful where your immune system is concerned, and it is even a good anti-aging agent. Moreover, whey reduces cholesterol and can reduce the risk of cancer. When considering the pros and cons and weighing whey protein up, the pros outweigh the cons by far, and whey protein comes out on top.